Google helps me to manage a big chunk of my life. Their technology developments always reshape the way I do things. I’m talking about Gmail, Google Drive, Google Maps, Forms, the search engine and the list goes on. More free technology than I know what to do with. Google has now added payments to the list of ways they support my lifestyle with Android Pay. I use Chrome to check social media and do my shopping. Then I use Android Pay to pay for it. With reflection, it could be argued that my life would be less convenient without Google. Certainly less holistic. So, what does Google’s payment technology bring to the virtual table? Android Pay was released on May the 18th and development of this for our merchants and partners is already well underway so that the good people of Britain may begin using this exciting feature. This potentially increases brand loyalty and decreases abandoned carts on your website. Android Pay will sit alongside other popular payment options we will support, such as PayPal and MasterPass. 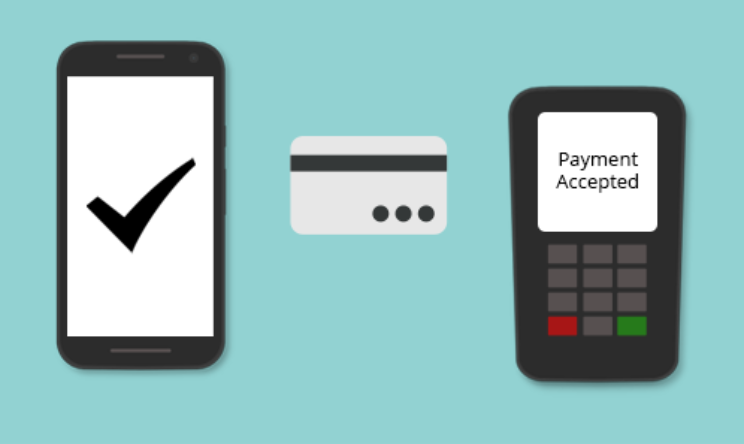 Why should you want Android Pay? If you’re like me and live in the UK, you will notice that we were quite bereft of online wallet payment options on our Android platforms. Meaning we still paid for our cheeky Nandos with cards made from plastic, a rather archaic pollutant that for over a century, est 1907, we haven’t been able to move on from. And I don’t know about you, but I want to pay with my phone to impress the attractive person in the queue behind me. Major Banks such as Lloyds, HSBC and Nationwide etc. understand this imperative too and so are backing the scheme. Thanks lads. Of course it’s not just to look flashy. It has practical applications too. For those of us who are not brand loyalists and shop centred on pricing and convenience, you often find that you have quite a few loyalty cards as a result. For example I have Match and More, Nectar, Club Card, also Boots, Game and Subway cards. It can be a bit fumbly at the checkout trying to navigate through these all, especially with the person behind you tapping their foot, eager to complete their own shopping. Well, with Android Pay the system will incorporate your reward schemes automatically to the payment, saving time and centralising your cards to one secure environment. Security options do depend on your platform, but biometrics, particularly thumb/fingerprint, are the most popular methods of device accessing right now for devices that support it. Fortunately my thumbprint is quite constant, whereas sometimes my brain forgets things, amongst the most consequential are passwords and anniversaries. So Android Pay will be protected by the biometrics of now and the future. In the event you have a device such as S7 Edge then you can take advantage of biometrics, if you have an older device then Android Pay is still an application that you can use. However you must take advantage of a passcode to protect your account. The newer devices can use either. Horses for courses. It is our objective to be one of the first gateways to support this awesome new platform, giving an element of exclusivity to Cardstream. Why not read more about the Cardstream Android Pay Integration? Don’t miss out and contact us to get live in time to offer your clients this payment option. If you are a developer you will find the Google Developers page a useful link to download guides and other resources. Watch this space as more payment methods will be added in the future, ensuring your gateway is progressive and accommodating.